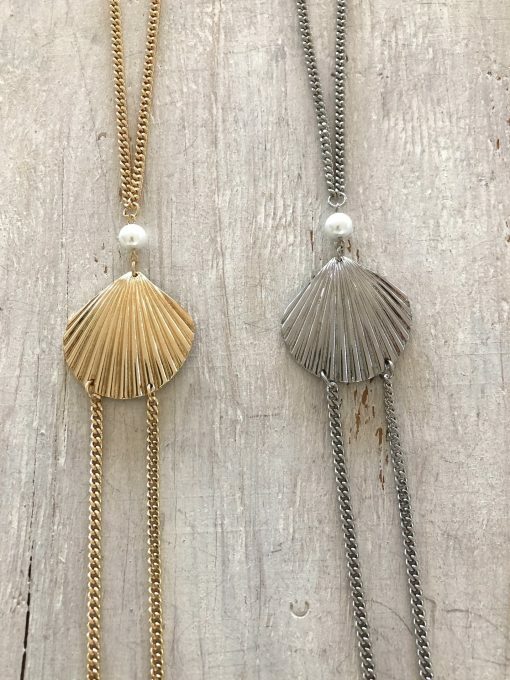 Summer loving in the stunning Clam shell and Pearl body chain. Stunning clam shell detail with a large pearl. One size fits all and adjustable at the back. Brass plated and real pearl.